A revolutionary technology that takes a 3D cross sectional image of different structures of the retina like the macula or optic nerve. 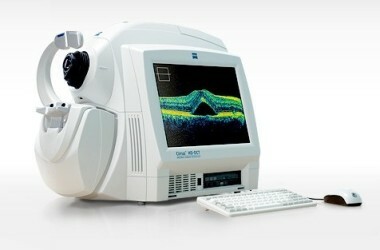 Enables us to diagnose macular degeneration, glaucoma, diabetes-related eye problems and other issues and to track the evolution of these conditions over time. This technology is usually only found in hospital settings and we are one of only a few clinics to have one.